One of my big projects for this year is creating a flower bed. I’ve grown flowers on the plot before like sweet peas, Nasturtiums and Calendula and I also have a Jasmine near the greenhouse but I’ve never dedicated a whole bed to anything other than fruit, vegetables or herbs. Towards the start of April, I propagated some Rosemary to replace my very woody 5 year old Rosemary bush on the allotment. 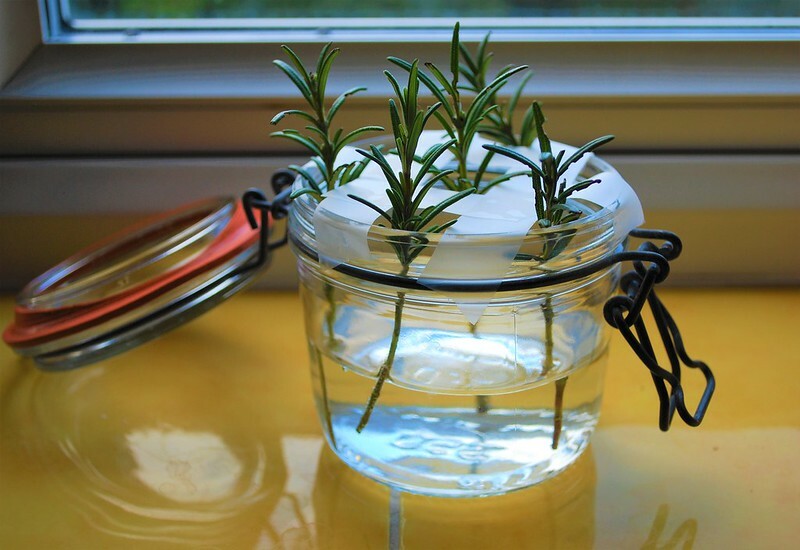 If you’ve never tried to propagate Rosemary, its really very easy! Simply take a cutting around 4-5 inches long, strip off the bottom leaves until you’re left with just a few and put the end in either soil or water. Make sure you take plenty of cuttings as some won’t take. If you’re trying the water method, replace the water every few days. I figured I’d hedge my bets and put four sprigs in a mixture of soil and perlite and five sprigs in just water. I’m curious to see which method will produce the best results. It will take between 4-8 weeks to see if any survive and take root, so stay tuned for an update next month! My herb bed has gotten a little unruly. 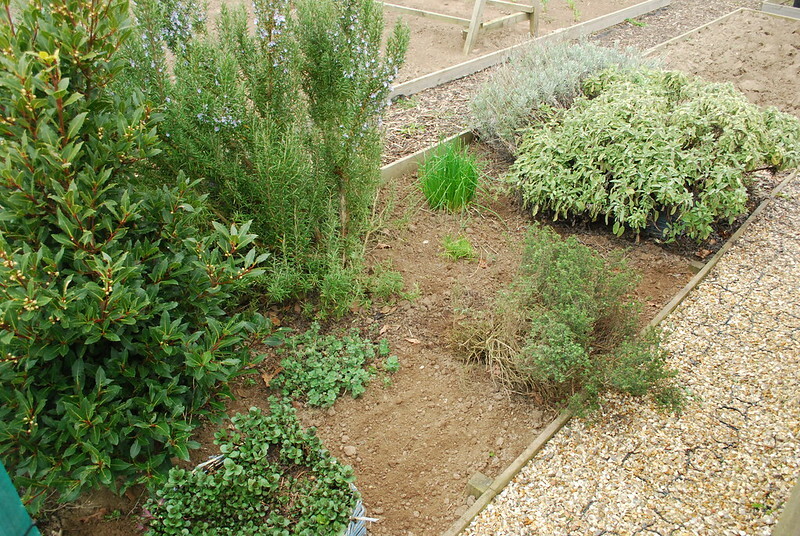 While its lovely to see the herbs doing so well both the sage and lavender are huge and smothering the chamomile, the Rosemary is getting too big and woody , I have two fennel plants (one dead, one self seeded in the wrong place) and it just generally needs a good weed and tidy. I tried to move the self seeded Fennel to replace the dead one, but unfortunately, I should have moved it sooner. It self seeded last year and the tap root had already grown too long so it snapped as I was trying to extricate it. I’m going to replace it with dill instead as I’m planning on growing Florence Fennel as a vegetable elsewhere on the plot so I’ll still have some if needed. Then I found a surprise in my Rosemary bush! 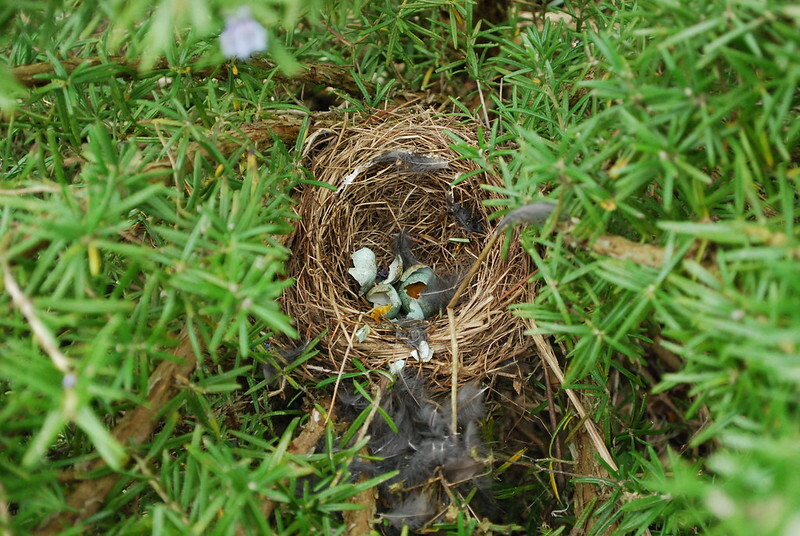 A blackbird had taken up residence some time over the winter and laid some eggs. Sadly, as you can see, they didn’t survive but its nice to think the allotment provided some shelter even if was only for a little while. 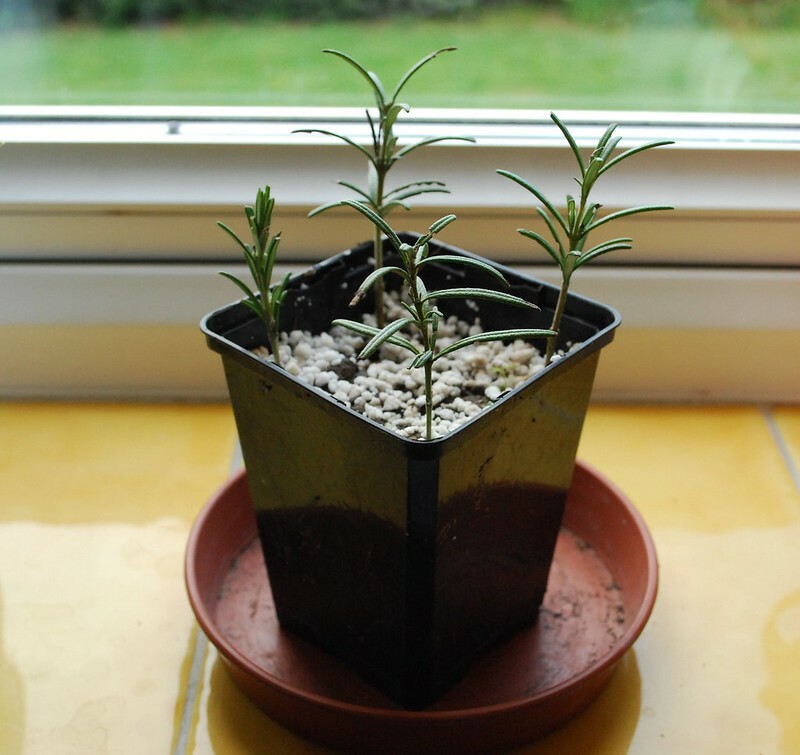 I’ve taken cuttings to propagate some Rosemary this year. 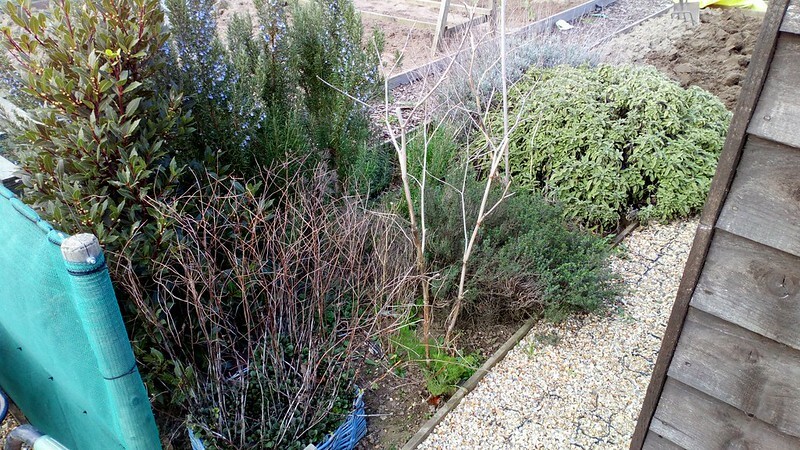 Pruning is not a skill I’m particularly good at and it has gotten so very woody. I’ll probably dig it up once I have some new Rosemary to replace it. And… that’s as far as I got, part 2 to follow. 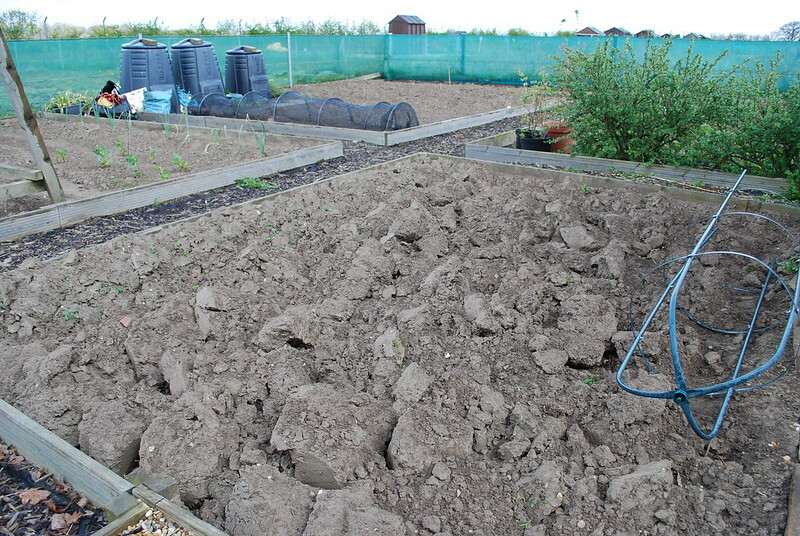 I ran my first half marathon on Sunday so didn’t get back to the allotment to finish the herb bed. My time was 2:02:06 which I’m very happy with; my legs not so much! It’s that time of year when the weather starts getting warmer and the days longer and the allotment feels like a blank canvas of exciting opportunity and potential. I’m reviving this blog to document my progress, connect with other people and learn from them, share my successes and failures, and hopefully inspire others. 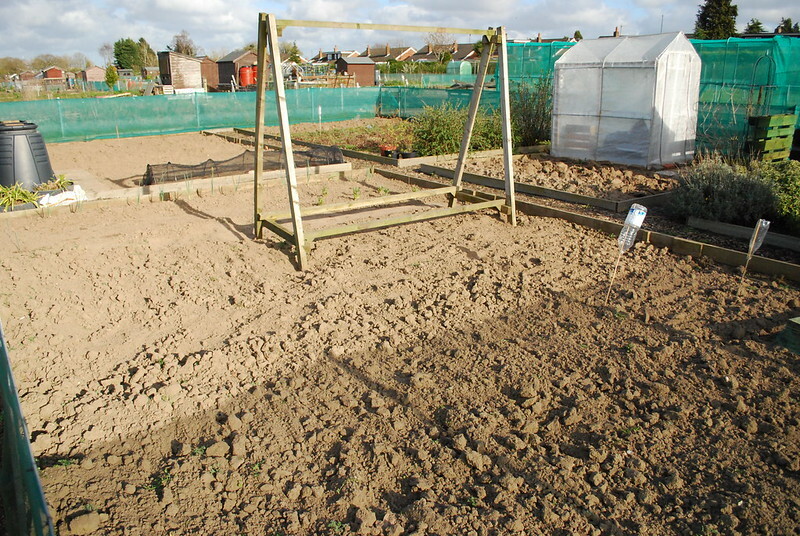 The plot is a bare looking patch of ground for the most part right now. The exceptions being an unruly herb bed that needs putting back into order, a strawberry patch that is half weeds and unwanted strawberry runners and a plastic greenhouse that has more holes than I can count. But it won’t stay bare for long! I’ve put in potatoes, shallots, onions, broad beans and (I may be a bit optimistic with these given it’s not too warm yet) spinach, beetroot and spring onions. I’m looking forward to seeing it slowly transform to green and vibrant! So I thought I had 10 balls of yarn. Turns out I have 9 balls of yarn. Of a discontinued yarn. So my plans for a nice deep rib are out, and its most likely going to be 3/4 length sleeves. 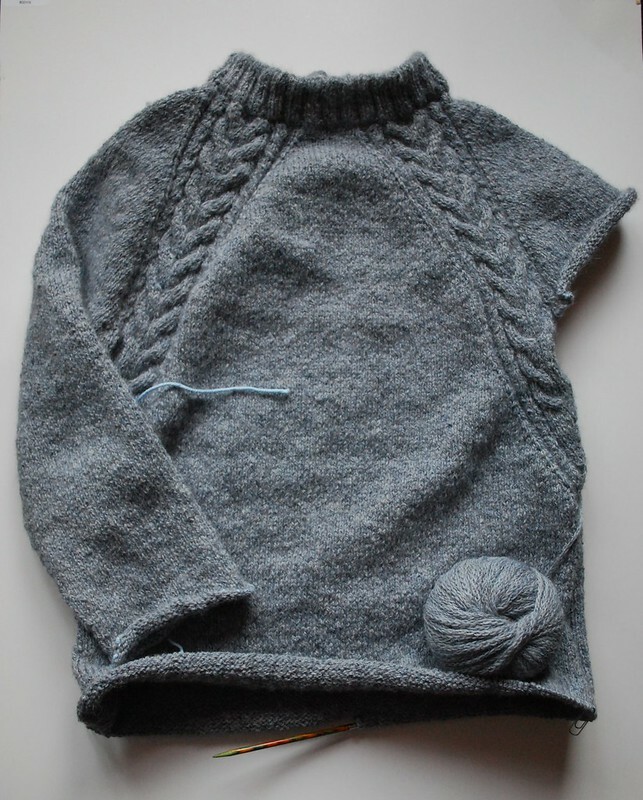 But I’m still confident that I can get a sweater out of the yarn that doesn’t look like its been short changed. On the plus side, I absolutely love the sweater. It has knit up sooo nice and soft, fits perfectly and I think I will be wearing it a lot! I used a tubular cast on for the ribbing, in the past I’ve always used the stockinette version and I’ve loved the neat finished look but not the hassle of undoing the provisional cast on and picking up stitches. This is the first time I’ve done a tubular cast on for 2×2 rib though and when I googled it I found the long tail method. Gotta admit, it might now be my go-to method for tubular casting on. It’s a lot quicker and just as neat. I have made a little mistake, you’re supposed to change to 4.5mm needles after the ribbing (and I thought I had) but a couple of inches into the main body I checked my needles and found out I hadn’t. I tried it on and I think I’ve gotten away with it, I like the feel of the fabric and it fits so I’m carrying on. I did have to rip back a couple inches at the underarms as it was a smidgeon too tight and I didn’t like the decreases in the pattern. I added a few stitches each side and its much better for it. The best bit of a seamless top down sweater is being able to try it on as you go! Baring any other major issues, I think I’m still on track to finish in November. NaKniSweMo is short for national (or should it be international?) knit a sweater month. It was inspired by NaNoWriMo (National Novel Writing Month) which challenges people to write 50,000 words in November. Swap words for stitches and you have NaKniSweMo. I’m not sure if my sweater has the required number of stitches but my challenge for myself is to knit and finish a sweater in November. 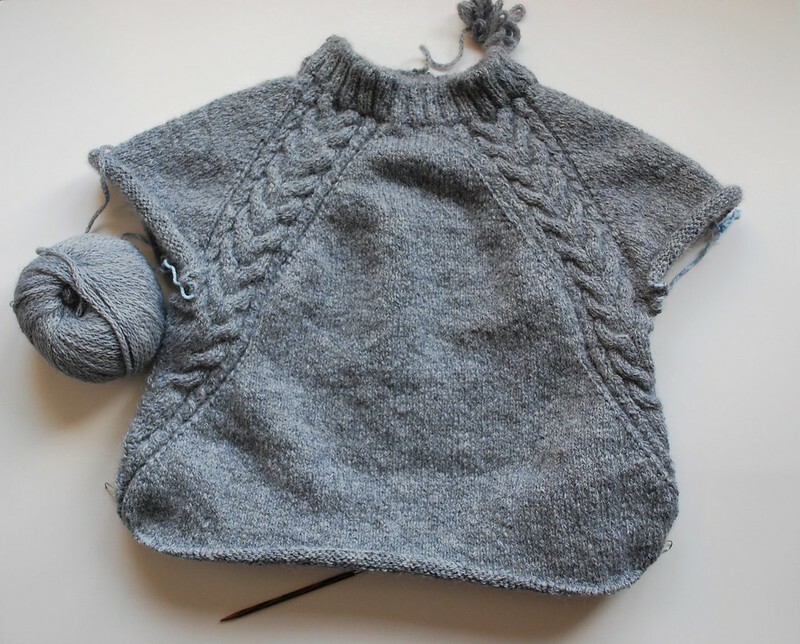 Emphasis on finish because its not unusual for me to finish knitting a sweater only for it to languish for longer than I’m willing to admit waiting to be sewn together and blocked. I’ve stacked the odds in my favour by picking a top down sweater that’s knit in the round. Seriously, the only thing I have to do is sew up a few inches under the arms and block it. It shouldn’t be too hard, right? 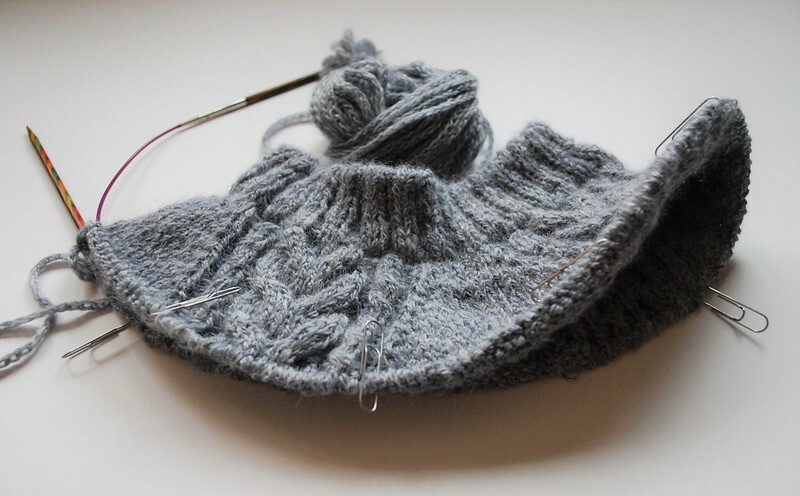 I’m making Arendal from Drops out of stash yarn; the sadly discontinued Rowan Lima. Its a gorgeous blend of 84% baby alpaca, 8% merino, 8% nylon and knits up so soft. So far I’m on track to finish, wish me luck!